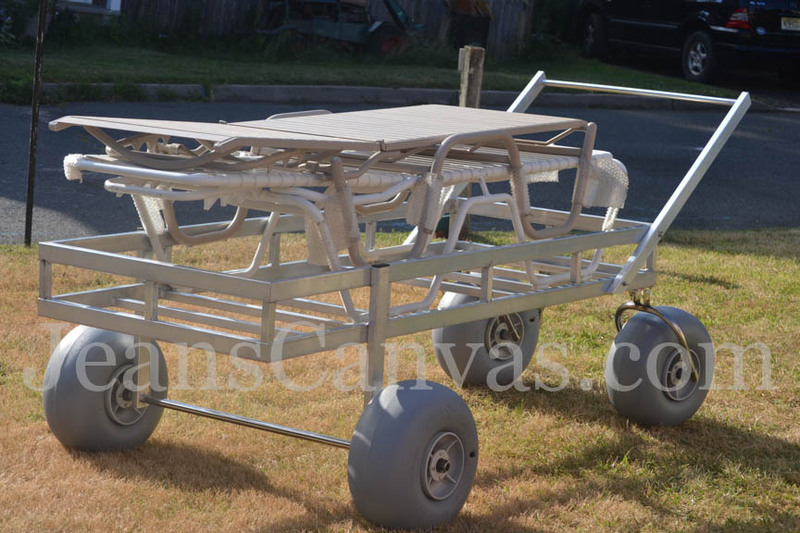 Our Custom Lounge Chair Beach Carts are hand crafted here at Jean’s Canvas Products in our metal shop by our certified employees in MIG and TIG welding. Frames are constructed out of only the best and strongest materials. We use 3/16 stainless steel on all mounting hardware which does not rust and has carrying capacity between 300 lbs. to 450 lbs. (depending on the tire size) with Wheeleez tires. In addition, we make our frames out of Aerospace Military Grade aluminum. 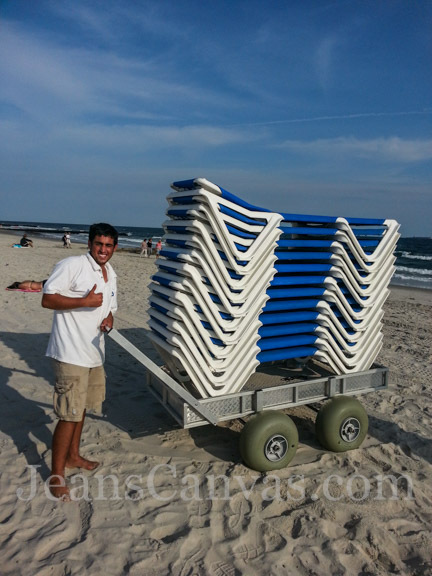 These solid Lounge Carts are perfect for all of your beach and resort needs! 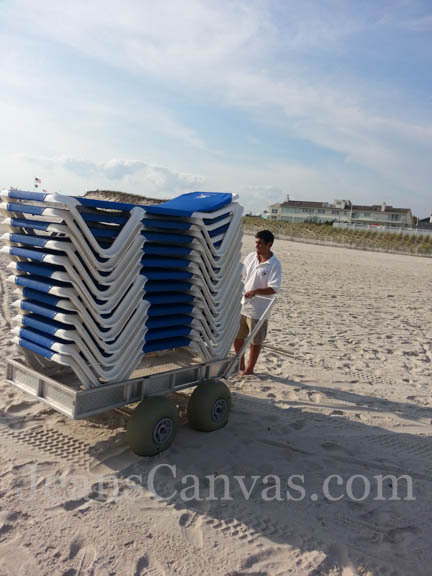 Stackable lounges, chairs, umbrellas and much more just to name a few things can be stacked seven feet high easily! These Custom Lounge Carts also push and pull with great ease on hard and soft sands as well as wood and concrete surfaces. Contact us today for great prices and to make your job easier. Jean’s Canvas Products has excellent craftmanship and a 5 star rating from satisfied customers. No cart is too big and we ship everywhere! 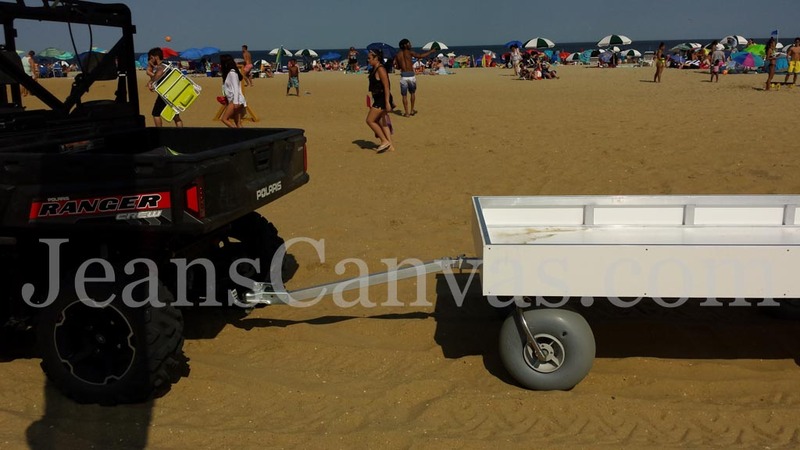 Allow Jean’s Canvas Products help you move your products this season. Call or email today and see what we can build for you.